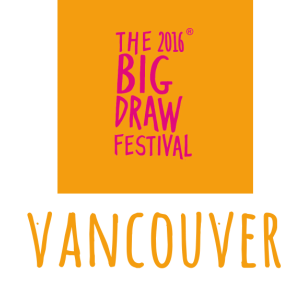 Join Satellite Gallery's teen art collective, The Graey, as they turn the SeaBus in to a drawing studio! Using the Vancouver transit map as inspiration, passengers create their own lines, routes and configurations between the places they deem important in Vancouver. What would Vancouver's transit map look like if it led to and from your favorite places in the city? See what others might add to the map. Or, use the map as the backdrop for any drawing of your choosing. Let your city inspire you! Hop on between 9 am and 5 pm to participate. Participants of all ages and experience are welcome. The Graey is a youth art collective based at Satellite Gallery. Using the gallery as a home-base they explore Vancouver's art world, plan public interventions and participate in or create events that encourage Vancouver's youth to engage with contemporary art. Satellite Gallery is an experimental exhibition space that is shared between Charles H. Scott Gallery (ECUAD), the Morris and Helen Belkin Art Gallery (UBC), the Museum of Anthropology (UBC), and Presentation House Gallery. 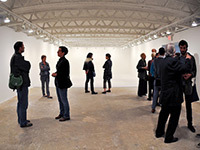 It includes 3500 square feet of exhibition and programming space. Satellite Gallery is a project of the Michael O’Brian Family Foundation whose vision it is to create a leading experimental project space in downtown Vancouver that provides education and experience in the arts, and opportunities for student mentorship.